New to the area? Explore Gwinnett is the best way to see what Gwinnett County has to offer. Complete your trip to the Bowl at Sugar Hill with excellent dining, a comfortable hotel, and many unique, popular local attractions. The City of Sugar Hill boasts over 150 acres of parks and greenspace, including the incredible Gary Pirkle Park, E.E. Robinson Park, and the Sugar Hill Golf Club. Sugar Hill is also the fastest growing city in Gwinnett County with exciting projects such as the E Center slated to open in 2018. 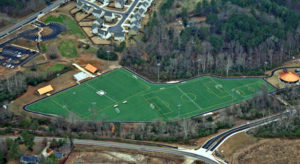 Nearby cities such as Suwanee, Buford, and Duluth also provide excellent dining and recreational opportunities, such as the Mall of Georgia and Suwanee Town Park. Lake Lanier is also nearby with access at Buford Dam and the nearby resort Lake Lanier Islands.